Jammu and Kashmir (J&K) before Indian independence and subsequent partition into two dominions of India and Pakistan, was a Muslim dominated, princely state governed by Dogras, the upper caste Hindus. It was not a part of British India (province). The last ruler of the Dogra Regime was Hari Singh and it was him only who in order to check migration from other parts of the subcontinent framed laws which defined "State Subjects and their Rights apart from regulating migrants from outside". J&K joined India through an 'Instrument of Accession" signed by Hari Singh in October, 1947. The accession to India was temporary and conditional. A referendum was promised after the infamous tribal raid is resisted. It was Sheikh Abdullah, Kashmir's popular leader who negotiated J&K's political relationship with New Delhi which led to inclusion of Article 370 in the constitution of India, when the Dogra regime was on its last legs. The Article 370 of the Indian Constitution guaranteed Special Status to the state of J&K in the Indian Union, restricting its legislative powers over only three areas viz. defence, foreign affairs and communication. In Delhi agreement between Sheikh Abdullah and Jawaharlal Nehru, the then Prime Ministers of J&K and India, several provisions of the constitution of India were extended to J&K via Presidential Order in 1954. A Presidential order was passed to insert an amendment in the constitution and Article 35 A was inserted into the Constitution of India. The article empowers the Jammu and Kashmir state's legislature to define “permanent residents” of the state and provide special rights and privileges to those permanent residents. 1. All persons born or settled within the state before 1911 or after having lawfully acquired immovable property in state for not less then 10 years prior to that date. 2. All emigrants for J&K including those who migrated to Pakistan. Thus, the 'permanent residents law' prohibits non-permanent residents from permanent settlement in the state, acquiring immovable property, seeking government jobs, state sponsored scholarships and any other aid. 1. The article was added to constitution through amendment under Article 368. 2. It was never presented before parliament and came into affect immediately. The fear mongering against abrogation of Article 35-A is so deep among the state subjects of Jammu and Kashmir that there is already a huge resistance to India from the all sections of state, even when the apex court has postponed hearing on the case.The shutdowns across state and protests from all parts of state by at mass level is a sort of beginning of an end and its ramifications must be taken seriously by India in order to avoid any disastrous crisis that would have a bad impact not only on J&k but on India as a whole. 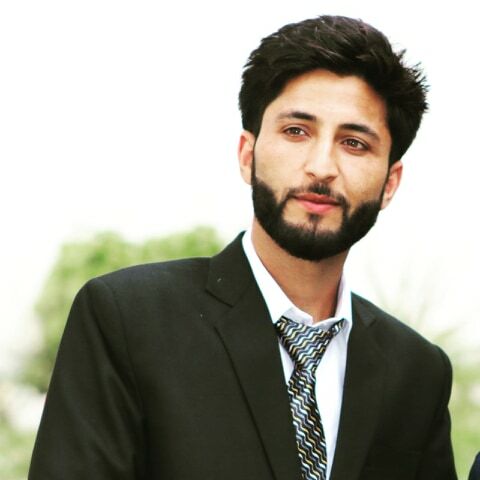 About the Author: Nadeem Lone is a student of B.A- V. He belongs to Mandi tehsil of Poonch District. Disclaimer: The views expressed by the author are strictly personal.